With 28 years experience in professional lawn care and top notch customer care. We provide a service that is not only professional but also very welcoming. Our state certified , highly trained lawn technician will work with you in designing a lawn program and partnership that will get your lawn to where you want it and maintain it year after year. Early Spring > applied March-Mid-May. This application consists of granular pre-emergent (crab grass control) plus a slow release spring up fertilizer to wake the lawn up from its dormant state. Note: this application does not control dandelions or broadleaf weeds. Spring > (the Dandelion Treatment) applied May-June. This liquid application will blanket your lawn with pre-emergent (crab grass control), fertilizer and weed control. Note: hard to control weeds such as Creeping Charlie, Violets, Spurge and some clovers will not be treated in this application. Early Summer > applied June-Mid-July. 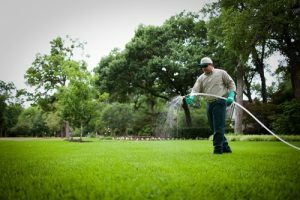 This application consists of a slow release fertilizer to minimize damage from summer heat, and a zone spray of weeds throughout lawn. Also, we will be treating for crabgrass that has emerged. Note: crabgrass does not turn brown and wilt away like most weeds. Crabgrass will turn purple indicating its life cycle is over but will need to be removed manually. Please call for pricing. Late Summer > applied Mid-August-September. This application consists of granular fertilizer and zone spray of weeds throughout lawn. Also, we will be treating for crabgrass that has emerged. Note: crabgrass does not turn brown and wilt away like most weeds. Crabgrass will turn purple indicating its life cycle is over but will need to be removed manually. Please call for pricing. Fall > September. This liquid application will blanket your lawn with fertilizer and weed control. Late Fall > applied October. This is the final application of the program unless adding pre-winter round #7. This application consists of a granular slow release fertilizer and a zone spray weed control with ester to remove the hard to control weeds remaining from the season. Note: hard to control weeds such as Creeping Charlie, Violets, Spurge and some clovers may take 2-3 visits to gain control. Please call to schedule additional treatments. Pre-Winter > applied late October-November. 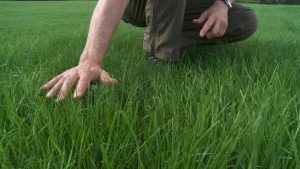 This application consists of a long lasting slow release to provide nutrients to the lawn to help protect it through Michigan’s wild winters and give the lawn a quick green up next spring. Note: This application must be added to your program.